One of the more beautiful aspects of English is that we have so many words to choose to describe different things. For example, if you come to school after not sleeping enough the night before, you could say your are tired, or sleepy – lethargic, listless, sluggish or even soporific! Today, we’ll learn a new word you’ll want to show off whenever you can! 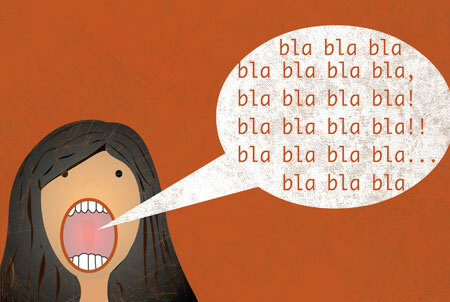 A loquacious person talks a lot! Definition:talkative, talks a lot. The word Loquacious comes from the Latin root of “loqui”, which means to speak or “loquacis”, which means talkative. Loquacious is one of those big words that is not often used in daily English, but if you slip it in, you will sound really smart. EX 2: Ahmed is usually a quiet student, but when the class discusses sports, he becomes loquacious. Now you know the loquacious definition! Looking for full immersion language classes in Los Angeles? Visit ECLA today!